Black Panther is a fictional superhero appearing in Marvel comics. The character was created by writer-editor, Stan Lee and writer-artist, Jack Kirby. Black Panther is the first black superhero in the mainstream American comics. 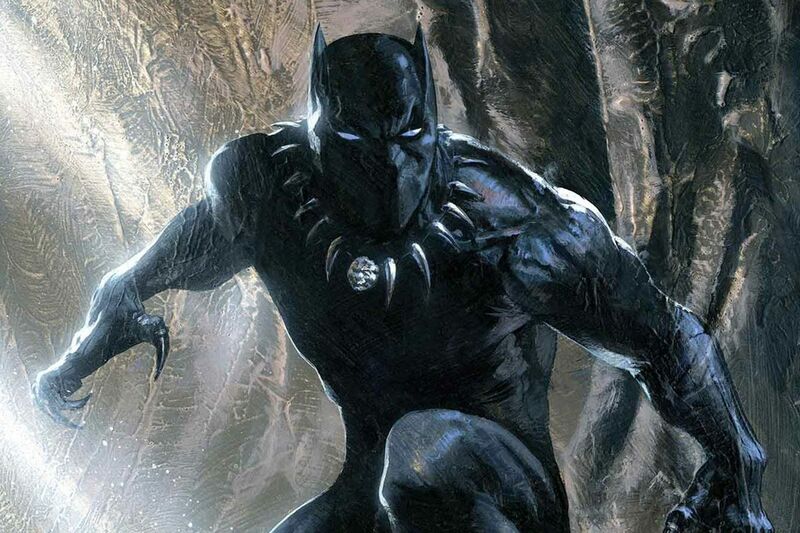 Black Panther’s alter ego is T’ Challa, king, and protector of the fictional advanced nation of Africa named Wakanda. Black Panther first appeared in Fantastic Four Vol. 1 #52 (July 1996) in the Silver Age of Comic Books. Black Panther’s storyline continued through thirteen issues of the Jungle Action which is considered Marvel Comic’s first graphic novel. T’Challa has a genius- level intellect. He is a skilled hunter and tracker. Black Panther’s senses and physical attributes have been increased to a superhuman level by the heart-shaped herb. He has enhanced strength, speed, agility, stamina, durability, healing and reflexes. He uses high tech equipment. He is an expert in martial art and armed combat but prefers unarmed combat. His fighting style incorporates acrobatics and aspects of animal mimicry. He is also immune to mystical attacks. Black Panther has a suit featuring a Vibranium mesh weave that can deflect heavy machine gun fire. T’Challa is a tactical king and a strategist who is farsighted and goes to extreme lengths for the sake of his kingdom and people. T’Challa is also a scientist and innovator with PhD. in Physics. T’ Challa is the heir to the centuries-old ruling dynasty of the advanced African Kingdom of Wakanda and the ritual leader of Panther Clan. T Challa’s mother, N’Yami died in childbirth causing his adopted elder brother Hunter to hate him. Hunter would become the White Wolf, leader of Hatut Zeraze, the Wakandan secret police. T’Challa was brought up by his father T’ Chaka alone as his second wife Ramonda seemingly ran away with another man when T’ Challa was eight. Wakanda had a vibration- absorption mineral, Vibranium (fictional) which crashed in form of meteorite a long time ago. The rulers of Wakanda protected this valuable resource reasoning that outsiders would exploit Wakanda for it. Hence, they concealed the country from the outside world. T’Chaka was murdered by Ulysses Klaw, a Dutch adventurer in an attempt to seize the Vibranium mound when T’ Challa was a teenager. T’Challa used Klaw’s sound weapon on Klaw and his men destroying Klaw’s right hand and forcing him to flee. T’Challa being quite young, did not inherit the title of Black Panther right away. He had to go through the walkabout rite of passage where he met and fell in love with apparently orphaned teen Ororo Munroe, who would grow up to become the X-Men member Storm. He studied abroad before returning to Wakanda. T’ Challa underwent ritual trials to become Black Panther and won the heart-shaped herb that enhanced his abilities and linked him spiritually to the Panther God Bast. He disbanded and exiled the Hatut Zeraze (Wakandan Police) including his step-elder brother. He sold off small portions of Vibranium to scientific institutions around the world and earned a fortune which he used to arm himself with advanced technology. When tribal war broke out, T’Challa restored peace by condemning the Jabari tribe and picking Dora Milaje from rival tribes to serve as his personal guard and ceremonial-wives-training. T’Challa invited the American superhero team Fantastic Four because he saw the world’s superheroes as a potential threat to Wakanda. He put them through a series of attacks to test if he was capable of battling Klaw who had replaced his shattered right hand with a sonic weapon. After he made proper amends to the superhero team, T’Challa allied with them to battle against Klaw and later against Pscyho-Man. T’Challa also joined the Avengers initially to spy on them but later befriended them. He adopted the identity of teacher Luke Charles while in America; romancing a singer; Monica Lynne later fiancée. He divided his time between Wakanda and America. He battled Jabari tribe malcontent M’Baku, the Man-Ape while with the group. M’Baku was part of White Gorilla cult and plotted to seize the throne of Wakanda. T’Challa helped Avengers defeat the second Sons of Serpents. The Panther eventually left his active Avengers membership to return to Wakanda with Lynne. He defeated the rebel leader Erik Killmonger and Ku Klux Klan. He later gained the mystical time-shifting artifacts known as King Solomon’s Frogs after fighting Kilber the Cruel. It produced an alternate version of T’Challa from 10 years who had a brain aneurysm. T’Challa placed his future-self in cryogenic stasis and broke his engagement off with Lynne since he feared he had no future to give her. T’Challa discovered his step-mother had not run away but was kidnapped by Anton Pretorius. He rescued his step-mother from years of captivity. Wakanda and Atlantis came to the brink of war during the Kilber incident since it was revealed Wakanda was a nuclear power. Then years later, Panther accepted a Washington, D.C. envoy, Everett K. Ross. Ross and the Panther encountered “Xcon”, an alliance of rogue intelligence agents and Russian mafia backing a coupled by the Reverend Achebe. After T'Challa discharged Nakia from Dora Milaje for trying to ill Monica Lynne due to her obsession for T'Challa, Nakia was tortured by Achebe and rehabilitated by Killmonger to become the mad warrior Malice. Malice plotted revenge against lack Panther but was stopped by T'Challa. Killmonger came back with a plan to destroy Wakanda’s economy which forced T’Cahlla to nationalized foreign companies. Killmonger then defeated T’Challa in ritual battle gaining the title of Black Panther. However, he fell into a coma upon eating the heart-shaped herb as it is poisonous to anyone outside the royal bloodline due to hereditary immunity to its toxic effects. Nevertheless, T’Challa saved his life. T’Challa later found out that he had a brain aneurysm which causes instability and hallucinations. After his mental state almost caused a tribal war, The Panther handed powers to his council and hid in Newyork. He mentored a police officer Kasper Cole who took the avatar of Black Panther. This inspired T’Challa to face his illness, reclaim his position and return to active membership in the Avengers. T’Challa helped his old flame Ororo Munroe aka Storm reunite with her family members in Africa and the U.S. He married Storm in a large Wakandan wedding ceremony which many superheroes attended. They embarked a diplomatic tour where they visited Inhumans, Doctor Doom, the president of U.S. and Namor. They sided with Captain America in anti-registration forces. During the battle between, Avengers and X-men, Wakanda embassy in Manhattan was highly damaged but no Wakanda was hurt. The couple ended up separating as their allegiance lied to opposite parties. Black Panther then faced Erik Killmonger defeating him with help of Monica Rambeau aka Pulsar. Wakandans also defended themselves from the shape-shifting aliens, Skrulls. Afterward, Prince Namor tried to recruit T’Challa for the Cabal, a secret council of supervillains. T’Challa was left comatose after the fellow Cabal member Doctor Boom attacked him. In his absence, his sister Shuri was trained as the new Black Panther. When T’Challa recovered from his coma and injuries he was left with no enhanced attributes as he was no longer the Black Panther. He worked with a sorcerer, Zawavari and made a pact with another unknown Panther deity, returning his attributes to even higher level as well as making him highly resistant to most magical and mystical attacks. During the fight with Doctor Doom again, T’Challa rendered all of the processed Vibranium inerts and rebuilt Wakanda without their dependence on the element. After events of “Shadowland,” Matt Murdock aka Daredevil made T’Challa his replacement as guardian of Hell’s Kitchen. He adopted the identity of Mr. Okonkwo, an immigrant from Congo and manager of a diner called Devil’s Kitchen. He became close to kitchen staffs Sofija and Brian and other neighbors like Mr. Nantakarn and his son Alec as well as Iris, a social worker who handled cases of child abuse. T’Challa fought against ambitious new crime lord Vlad Dinu, Impaler. During the battle, Brian from Devil’s Kitchen got seriously injured and was reported dead. It made the rivalry more personal especially due to Vlad’s belief that Angela was killed by T’Challa. T’Challa worked with police through Kurtz. T’Challa discovered that Iris killed abusers of children and Angela was secretly abusing Gabe, Vlad’s younger son. Brian, however, was kidnapped by his doctor, Dr. Holman at the command of Nicolae, Vlad’s elder son. After going through many experiments, Brian could no longer think for himself but was rescued by Gabe who also stole the serum prepared from the experiments that gave the recipient Vlad’s power. T’Challa gained evidence of Vlad Dinu’s crimes and turned it to Kurtz. Vlad killed his own son Nicolae before being captured by T’Challa. Gabe was also arrested for trying to kill Iris. Despite knowing Panther’s identity as Mr. Okonkwo, both Iris and Sofija promised to keep silent. After Daredevil returned to Hell’s Kitchen, Black Panther went back to Wakanda and served as a second to his sister and Wakanda’s ruler Shuri. Then the events in Avengers Vs X-Men took place where the Panther God returned T’Challa’s ability. Namor tried to destroy Wakanda with a tidal wave empowered by the Phoenix. As Storm returned to help Panther, he annulled their marriage. After witnessing an alternate Earth being destroyed by the Black Swan, T’Challa reformed the group Illuminati to confront the threat of incursions- parallel universes colliding with each other destructing both of them. The group, however, could not avert one incursion with the Infinity Gauntlet and subsequently Infinity Gems. The destruction of Infinity gems forced the group to resort to more questionable measures to protect earth from future incursions. They wiped Captain America’s memory of all that happened so they could do what needed to be done. However, the Illuminati grew disgusted with the wholesale slaughter until Namor broke off from the group to form a new Cabal of villains who did what heroes did not in order to save Earth. Nevertheless, Namor got weary of the wholesale slaughter conducted by the cabal and collaborated with Illuminati to destroy the Cabal. They trapped the cabal on next Earth to be destroyed but Black Panther and Black Bolt left Namor on the Earth too because they were disgusted with his previous actions. The Cabal and Namor ultimately escaped to the ultimate universe as the other earth had a simultaneous incursion. When the final Incursion occurred, all the realities of earth collapsed into one earth. Black Panther survived the Incursions in a life pod along with some other superheroes. They were released into the new world after an eight-year stasis. They learned that Doom was God of the new “Battleworld” created from the multiple realities and Doctor Strange was “sheriff” to him. Strange dispersed the heroes across Battleworld to save them. T’Challa and Namor eventually discovered a new version of Infinity Gauntlet that Strange collected, ensuring that the Gems would work in the location where Doom built his main fortress. T’Challa recruited the residents of deadlands as an army and marched towards Doom while other multiple areas rebelled against him through encouragement from other superheroes. However, T’Challa was only a distraction while Reed targeted Doom’s power source. Taking Doom’s power, Reed set out to rebuild a new multiverse. On the other hand, T’Challa used the Time Gem to take himself back to Wakanda before the Incursions and lead his people to a new state of leadership and prosperity. Black Panther became a member of the Ultimates. Black Panther represented Wakanda on the Board of Governors of Alpha Flights. 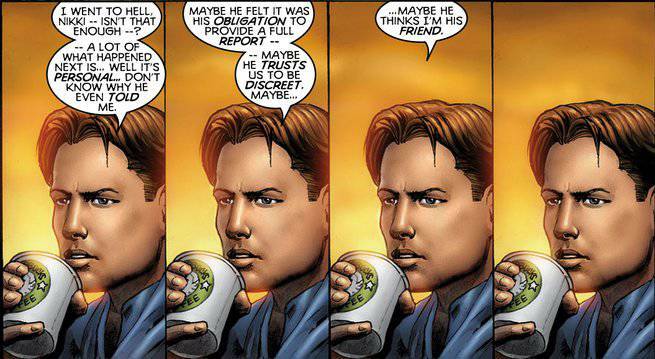 He sided with Captain Marvel on needing help from an Inhuman, Ulysses Kain who can predict possible future. T’Challa and Shuri help in the fight against Leviathon Tide. Black Panther helped to bring back real Steve Rogers who was brainwashed and infused with Cosmic Cube. After the defeat of Hydra Supreme Steve Rogers, Black Panther found an Intergalactic Empire of Wakanda on Planet Bast located in Benghazi Star System which was a classified project of T’Chaka. After the Secret Wars, T’Challa faced a rebellion from people of Wakanda as he was mistrusted by many due to the past events. The insurrection in the north was led by Midnight Angels, in the south by Tetu and Zenzi. The Midnight Angels and Black Panther came to an agreement and defeated Tetu. T’Challa declared Wakanda as a constitutional monarchy. Now, Wakanda is ruled by a council of elected officials from different tribes. Black Panther still remains a symbolic political leader. The character, Black Panther made his debut in the Marvel Cinematic Universe through Captain America: Civil War in 2016. The actor Chadwick Boseman portrays the role of T’Challa in the movies. The movie displayed Black Panther as a superhero with enhanced speed, agility, strength, Vibranium mesh weave suit and retractable claws. The story of Black Panther’s origin is changed in the movie. *Spoilers alert* In the movie, Black Panther took Iron Man’s side since he believed that a Winter Soldier killed his father. However, later he found out that the assassination was actually conducted by Helmet Zemo as a part of his revenge against the team for unintentionally causing the Sokovi crisis. Black Panther confronted Zemo but after hearing his confessions, Panther decided against killing him, not letting vengeance consume him. He prevented Zemo from committing suicide and instead turned him in. He granted Captain America and Winter Soldier sanctuary in Wakanda and also helped the Winter Soldier recover from his Hydra brainwashing. Boseman reprised the role in Black Panther, a first spinoff for the Marvel character. The live-action film on the character had in development since 1992. However, Marvel Studios officially announced the making of the film in October 2014. The movie features M'Baku (Winston Duke), Killmonger (Michael B. Jordan), Ulysses Klaw (Andy Sanders), Shuri (Letitia Wright), Nakia (Lupita Nyong'o). The movie premiered in Los Angeles on January 29, 2018. It was released on February 16, 2018. Boseman will also be appearing as Black Panther in Avengers: Infinity war in 2018. Black Panther has grossed over $1 billion worldwide. The movie with its amazing cast has made quite an impact in Marvel Cinematic Universe. The movie brings the fictional Wakanda to life with mesmerizing cinematography. The story follows T'Challa after the death of his father. He becomes King of Wakanda after defeating M'Baku in a challenge. However, he has to deal with the opposition to his new position on various fronts. The main antagonist of the story is Erik KIllmonger who is seeking revenge from the royal family. And also wants to start a revolution. Black Panther is a fantastic Marvel Live-action version. If you haven't watched it yet, then don't be late.